Phase 1 of the Stadium includes new north stands and pedestrian concourse, a permanent stage, and a temporary field, to be complete for enshrinement festivities in August 2016. 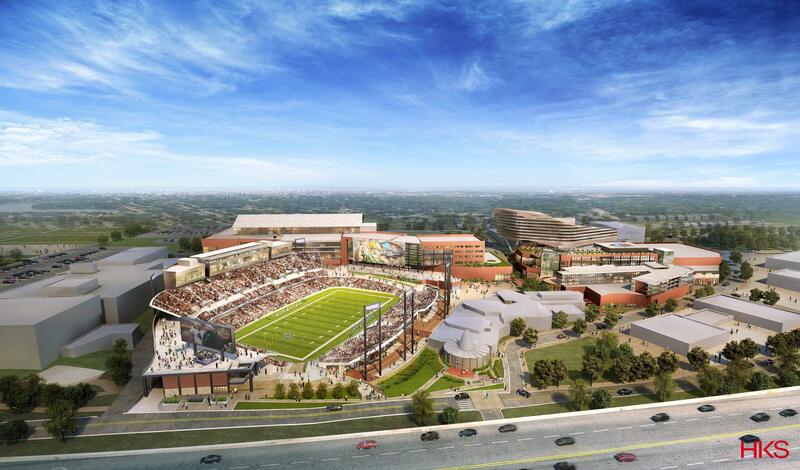 Phase 2 of the stadium project will begin immediately after the 2016 Hall of Fame Game and will encompass a new press tower; new south, east, and west grandstands; locker rooms; restrooms; concessions; underground tunnels connecting to The Center for Excellence; and a new permanent synthetic turf field. State-of-the-art youth fields featuring synthetic surfaces and video technology incorporated into the design. Four-star hotel, conference center and The Center for Excellence, to be completed over the course of the next three years. The $500 million Hall of Fame Village project turns the Hall of Fame into a dynamic venue – one that will draw attractions and visitors from across the area and beyond. 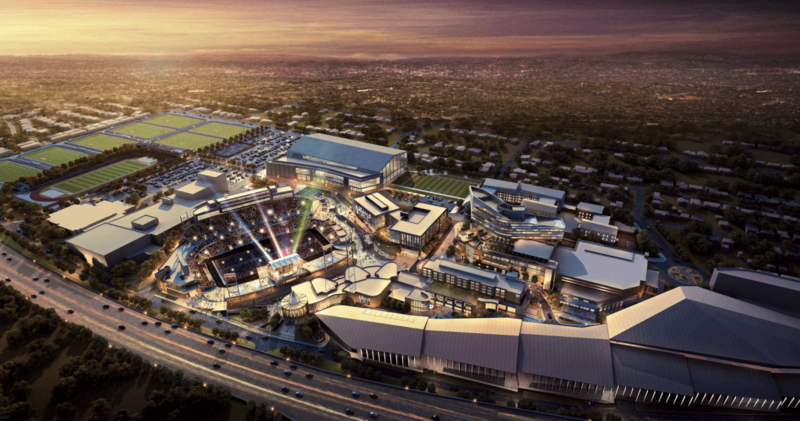 Once completed, it will include an NFL-caliber stadium, museum, hotel and conference center, Legends Landing residential village, a youth sports complex, a Center for Excellence, restaurants and retail, and a high-tech “HOF/NFL Family Experience” virtual reality venue. The goal is to have much of the project finished in time for the NFL’s 100th season in 2019. The Hall of Fame is hoping to host the NFL Draft as part of the 100th anniversary celebration. The Hall brought in developer Industrial Realty Group and HKS Architects from Dallas to work with Welty. HKS is also handling the design on the Minnesota Vikings’ multipurpose stadium that will host the Super Bowl in 2018. Funding for the project is coming from a variety of sources, including $10 million from the state’s capital projects budget, $10 million from New Orleans Saints owner Tom Benson, and $5 million from the City of Canton. This one-hour in-person seminar provides insights and applications of current and successful Lean Construction philosophies. Welty has presented this course to more than 150 architects and engineers, and we would be happy to bring the presentation and lunch to your office. To schedule, please contact cholet@thinkwelty.com. The course is also available in a virtual format for continuing education credit here. With a growing presence in the Cleveland market – including construction of nine restaurants as part of the Flats East Bank development project – Welty has expanded its office space and moved into the former Sammy’s Building in the Flats. Welty affiliate environments 4 business also moved to this location from its Euclid address, and will share the first floor space. Welty refashioned the building as an office complex called Settler’s Point. The name is a nod to the nearby site where Moses Cleaveland’s surveying team landed in 1796 to sketch out a town on the east bank of the Cuyahoga River. Welty also had to consider the historical nature of the building: as a landmark, old and new had to combine seamlessly. Welty worked with contractors for a full historical masonry restoration and replaced all of the building’s windows with energy efficient ones that replicate the originals. Inside, the building is designed for efficiencies with a state-of-the-art zoned HVAC system that more intelligently adjusts to outside variables, like sun heating one side of the building. Read more about the move in Crain’s Cleveland Business. In late June, the Cavs took home the NBA championship. Then it was time for a world-class team effort of a different kind: the transformation of the Cavs’ home, Quicken Loans Arena, for the Republican National Convention. Welty played a major role in the work, converting the Gateway East Parking Garage adjacent to “The Q” into a media center equipped to handle the influx of more than 15,000 journalists from around the world. Going from a concrete jungle to high-tech media center was a monumental task. The space needed to not only feel like an inviting office but also allow traditional and digital media to disseminate news with equal speed. In addition to new drywall, lighting and 30,000 square feet of carpet, Welty installed glass panels overlooking Freedom Plaza for CNN’s on-air studio. To view the 2-week transformation in less than three minutes, click this link.